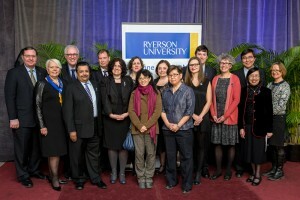 The President’s Blue and Gold Award recognizes the outstanding achievements of one individual and one cross-functional team in the administration of the University, who advanced the mission of Ryerson University through outstanding dedication and excellence in providing services, participating in or leading teams, and demonstrating the Ryerson values. This year, the inter-departmental team responsible for the One Stop Course Reading Service was awarded this honour. The One Stop Service makes high-demand course readings available to students over the duration of their courses. This service team comprising staff from the Library and the Bookstore, with support from Digital Media Projects, Computing and Communications Services, and the Chang School to provides a service unique to Ryerson Library: one that exemplifies Ryerson’s values of collaboration, innovation, and integrity. In 2013 the Canadian Library Association awarded the CLA/OCLC Award for Innovation Technology for the RULA Book Finder app. The award is given in recognition of the ground breaking and innovative use of technology to provide exceptional library service to members of the community. The Book Finder application helps Ryerson students, faculty and staff more easily find library materials in the stacks while searching the Library catalogue. Check the Library’s news blog for more information about the Book Finder. More information about Book Finder is available on the Library website. 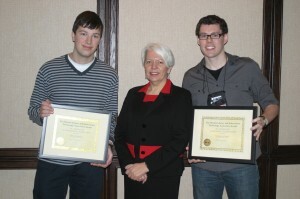 Graham McCarthy, Innovative Technologies Librarian and Steven Marsden, Junior Systems Programmer were awarded the Ontario Library Information and Technology Association’s Award for Technical Innovation for developing an ISBN/QR scanning application that lets users check to see if the Ryerson Library has a particular title. The Ryerson Mobile app is available for both Android and Apple devices. Don is honoured to receive this award. 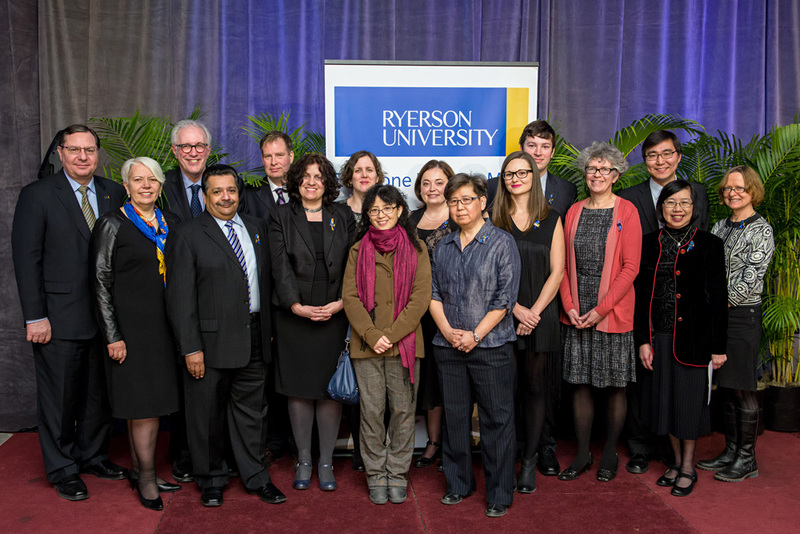 “Receiving this award is acknowledgment of Ryerson’s collaborative spirit. We’re all very fortunate to be part of a university where collaboration is promoted, supported and celebrated and where the culture is such that we can work with people from all parts of the campus and with other organizations and communities to make a difference,” he said. The Ryerson Library was honoured two years in a row by the Innovative Users Group, the group of libraries using the Innovative Interfaces library system software, with a Be Innovative! award. In 2007 the Ryerson Library was awarded the Patron Empowerment Award for “Simplified Citation Links with RefWorks”. A script, developed by Sally Wilson, Web Services Librarian, allows users with one mouse click to save citation information from a bibliographic record in the catalogue to the RefWorks web-based citation manager software. In 2008, Graham McCarthy won the same award for the Ryerson Library with his library application for Facebook. This application allows users to search the library catalogue and eresources from within Facebook.